I found Book 2 for 50 pesos! Where are the great minds? Tubo Ko sells delicious sugarcane juice! A boy writes the details on a raffle ticket at my favorite Dunkin' (not Dunkin' Donuts anymore), the branch in front of Taft Avenue where I often have coffee after alighting from the train, before seeing patients. The boy keeps asking his mother what to write; it is likely his first time, and his mother pushes him to write on. I hope he grows up to a smart man with excellent handwriting. Scenes like these warm my heart. What?!? Well, they seem prouder of their coffee than their donuts these days. Miss the black-raspberry filled flavor. 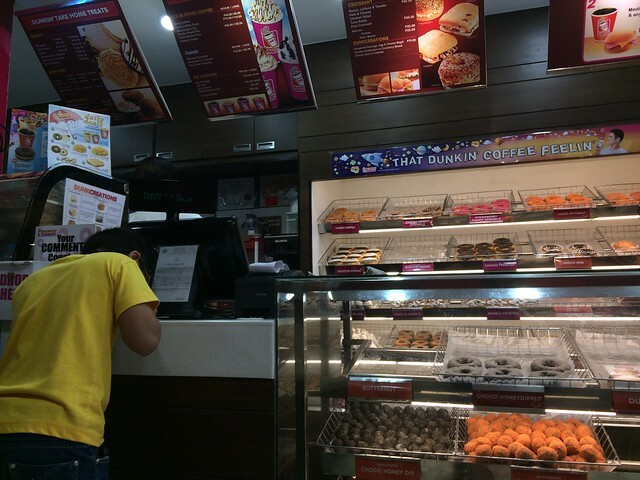 Can't find it anymore, plus there are more Mister Donut branches around than Dunkin'.